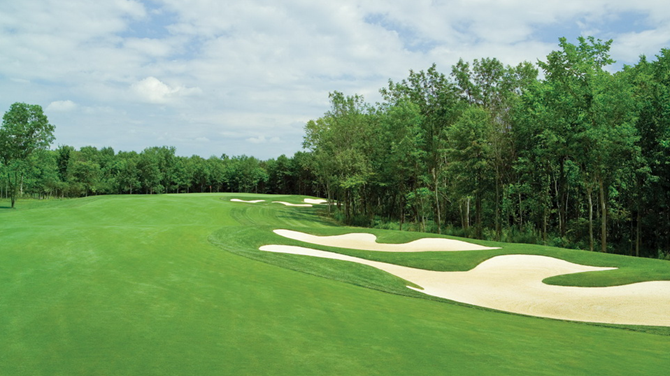 Previous Events: Grand Niagara hosted the Ontario Golf Superintendent’s Association Pro/Super Event on June 6th. Teams from Hamilton GC and Credit Valley Golf & CC tied for 1st with good scores of 66 in the better ball format. The Air Traffic Controllers Annual Charity Golf Event was held on June 9th with 135 golfers enjoying a beautiful day. Special thanks to Brad Hiscock, Henry Andrulius, Chris Stevens and their Committee for a great 2016 Event! Upcoming Schedule: The Knights of Columbus Charity Golf Event takes place on June 17th. The STRIVE Niagara ‘FORE the Kids’ Annual Charity Golf Event is on June 22nd. Niagara Falls Rotary Golf Event is June 29th. The Member Opening Field Day Event is July 10th. The Old Hickory GC Outing is on July 18th. The Sherwin Williams VIP Event is July 20th. We are hosting the Niagara Men’s Tour on July 24th. Grand Niagara’s Annual Titleist Demo Day takes place this Saturday June 25th from 11:00am to 3:00pm! We will feature all Titleist’s newest equipment on the driving range and discount pricing will be available. This is open to all Members and Guests. See you at the Range! We are proud to be hosting Golf Canada’s 2016 Senior Men’s Amateur National Championship, September 6th through 9th. More information to follow in our next Newsletter! Many golfers will ask me - have you ever made it to the range to warm-up and the club just doesn't feel right? Am I standing too close to the ball, too far away, what feels different today? After a few swings you notice that your shot pattern on the club may be on the toe or maybe on the heel. What's going on here?? Help! Proper posture at your address may be the fix you are looking for. Let’s return to basics. Stance at shoulder width apart, hands come together and form a triangle. A slight bend at the knees and stick your rear-end out. Think of a middle infielder on a baseball diamond. Watch how they ready themselves just as the pitcher is about to deliver the pitch. Knees flexed, rear-end out and ready to move where the ball could be hit. This ‘ready-position’ for baseball players is one that we golfers should try and emulate at our address position. Having this as a mental note will really improve your posture over the ball at the address position, and the ball will tend to find the sweet spot again on your club face. So the next time you are having one of those “What’s going on here? ?” times on the range, think baseball. Trust me - it works! Join us on Sunday, July 10th for the 2016 Member Opening Field Day! Open to all Members of Grand Niagara GC with flex rates to apply for our Flex Members participating. The format is 1-2-3 Best Ball with the draw to be made by the Golf Shop. Tee Times will commence at 1:00pm, and the cost is $35/per, inclusive towards our concluding reception and prizes. The Sign-up Sheet is located in the Golf Shop! We would also like to take this time to welcome our newest Grand Niagara GC Members; William Morningstar, Ben Hanson, Sacha Provencher, Ryan Belic, Evan Littlefield, Ralph Frattaroli, Aaron Taylor, Paul Breissinger, David Kilgour, Aldo Vanelli, Thomas Keeper and Jason Sagle. Welcome to the Club! 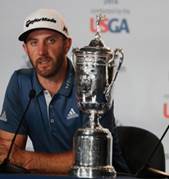 Dustin Johnson bailed out the governing body by playing well down the stretch on Sunday at the 116th US Open, with what could have been the toughest rules decision in USGA history. On the 5th hole Johnson prepared to hit his putt, took two practice strokes beside the ball, stepped in to address the putt and noticed his ball move slightly before he grounded his club. He called the rules official over, explained what had happened and his playing partner Lee Westwood confirmed Johnson’s view. The rules official determined that a rule had not been broken and Johnson played on, making his putt. The USGA then studied video of the incident and felt there was a cause for concern. They met with Johnson on the 12th hole, explained they had reviewed the video and that he could be assessed a one-stroke penalty because it was possible he was the cause of the ball moving. The rule in question, Rule 18.2: Ball at Rest Moved, has been recently changed. It previously stated that if a player is deemed to have addressed the ball by grounding his/her club, and the ball subsequently moved, then a penalty stroke should be assessed. Under the updated rule, officials are to base their decision to assess a penalty on any number of player actions (not just did he or she ground the club), but whether it is “more likely than not” he or she was the cause of the ball moving. In Johnson’s case, the USGA determined that by virtue of moving the putter in close proximity to the ball, and the ball moving “almost instantaneously” after he lifted it from practice stroke to begin his address position, it was more likely than not that Johnson had caused his ball to move. It seems that in trying to fix a flawed rule (players were drawing penalties for wind-blown balls moving just because they had grounded their club), the USGA created other potential problems that almost became a nightmare ending for a great US Open. The lesson to be learned is Rule 18 needs further fixing, and fast.